José Mourinho could well have reached the end of his tenure at Real Madrid, considered by many as the world’s biggest club, with his third exit at the semi-final stage of the Champions League against Borussia Dotmund on Tuesday. The dream of winning la Décima, the tenth, European Cup will have to wait another year, but the weight of expectation would appear to have buckled the back of the self proclaimed “special one”. The Champions League, or European Cup, is an obsession for the Madrid faithful. It is a trophy that the club and it’s fans believe belongs to them exclusively and the fact that they have had to watch their biggest rival, F.C. Barcelona not only dominate the domestic league, but also the continental stage, had become too much to bear for the greatest side of the 20th century. After a season where Manuel Pellegrini was brought in to try and overturn a team that had won 6 trophies in a calendar year, only to fall short in the league against a then record 99 points, Mourinho was hailed as the club’s saviour and the anti-Guardiola. The fact that Pellegrini had followed in the footsteps of many others before in failing to progress past the last 16 stage of the Champions League had been his downfall. Mourinho had defeated the all conquering Catalans in the semi-finals and gone on to lift the trophy at the Bernabéu with Inter. He seemed destined for Madrid. In his first season, he couldn’t stop the Barça steamroller. Madrid finished second in the league and lost the Champions League semi final to the side they were expected to usurp. The defeat prompted an outrageous outburst from the Portuguese coach, accusing UEFA, Barça and the Spanish Federation of wrong-doing. He did achieve one thing, Real Madrid defeated Barça after extra time in the Copa del Rey Final. With that victory Madrid recovered a little of their morale after having suffered a 5-0 defeat earlier in the season at the Camp Nou, Mourinho’s first Clásico. Barcelona went on to win the League and Champions League trophies that season, Mourinho had stopped the rot by stopping another famous treble. The next meeting between the big two would be the Spanish Super Cup. The result is almost incidental as most will remember the end of the match for Mourinho’s infamous eye gouge on Tito Vilanova. The Portuguese coach had stoked the atmosphere before the game and the end of match melée which preceded the despicable act by Mourinho was premeditated by a vicious tackle in front of the benches by Marcelo on the newly arrived Cesc Fàbregas. Iker Casillas, the Madrid club captain, subsequently contacted Xavi Hernández (his national team mate and a friend he had known since their time together in the Spanish youth sides) to make peace. The gesture did not go down well with Mourinho who dropped his captain from the club’s showpiece preseason Bernabéu trophy match. Their relationship is still a source of much media speculation, if not anger in Madrid. Madrid went on to win the league with a record 100 point tally, but failure once again in the Champions League, on penalties to Bayern Munich brought on much anguish and midway through that same season speculation was rife that Mourinho would be seeking a change of environment. Whether this would be the departure of the coach, or Madrid’s club captain and second captain Sergio Ramos was the centre of much debate. This season has seen the deterioration of relations in the dressing room reach critical levels. Casillas is no longer number one choice and there have been a number of falling outs elsewhere. Mourinho even accused FIFA of vote fixing and refused to attend this year’s Ballon D’Or awards ceremony. Vicente del Bosque deservedly picked up the coaches award having steered World Champions Spain to back to back Euro triumphs. Mourinho stated in an interview with ITV this week that he wanted to be somewhere where he was loved. After another Champions League semi final exit and 11 points behind their eternal rivals with 5 matches to play in the league, it would appear that Madrid is not that place. 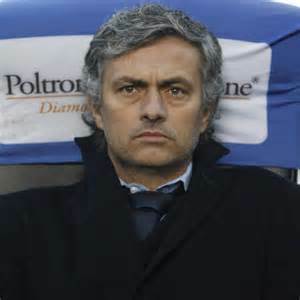 The home where he will be loved could well be Stamford Bridge, but having failed to secure Madrid’s tenth European champions title, an agreement to walk away free will not be honoured and Roman Abramovich may have to pay £12 million to break the contract Mourinho has with Madrid until 2016. Having paid close to £18 million to break his ties with the Portuguese clan at Chelsea previously, would the Russian Oligarch be willing to part with another substantial sum to reunite himself with a man who many have referred to as the enemy of football? 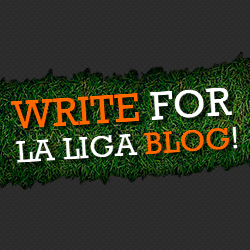 With only a Copa del Rey left to play for, it would appear that Mourinho’s time is up. Club President Florentino Pérez will look at his risk of having employed Mourinho and the return thus far of 3 trophies. One League title, one Copa del Rey and One Supercopa de España in three years is not much return for his investment in a coach who proclaims himself to be the best in the world. With club elections to come this summer and much pressure from the media and fans alike, the man at the top may well decide to cut his losses, if the decision has not already been made by Mourinho himself to jump ship.